BLUE RIDGE, Ga.—Oct. 9 the Blue Ridge City Council gathered to approve the millage rate for 2018. The Blue Ridge City Council also adopted the 2019 fiscal year budget. The millage rate has fluctuated over the last three years. In 2015 & 2016, the millage rate was 5.479 mills. In 2017, the millage was rate 5.362 mills and the rate for 2018, which will be applied to 2019 taxes, is 5.378 mills. When is this tax due? Fannin County property owners will receive a receipt of tax notice in the mail. The amount owed will be due within a time period 60 days from the postmark on the bill. Please note that if your payment is late, you can be charged an additional five percent, and if the balance is still not paid within 120 days there could be a charge up to 20 percent. Property owners should check their mail regularly in 2019. The Blue Ridge City Council passed the 2019 fiscal year budget where the city is expecting to a receive $2,026,400.00 in tax payer dollars and a total revenue of $2,449,250. The City of Blue Ridge will be allocating the complete revenue amount out to various expenditures: Mayor and Council, General Administration, Tax Administration & Licensing, Municipal Court, Police, Custody of Prisoners, Fire Fighting, Highways and Streets, Shop, Recreational Facilities, Parks Administration, Park Areas, Planning and Zoning, Downtown Development, and Special Facilities Rental. Blue Ridge’s Confiscated Funds from Fines and Forfeitures will go toward the Police Department for a total of $1500. The Hotel/Motel Fund revenue of $170,000 will go towards Downtown Development. The SPLOST (Special Purpose Local Option Sales Tax) Fund revenue, a total of $746,500, will be applied to Highways & Streets and Downtown Development. Lastly, the Water & Sewer Fund, a total of $5,643,500, will be divided into Sanitary Administrations, Sanitary Sewer Maintenance, Sewage Treatment Plant, Water Administration, GEFA Project, Water Treatment, Water Distribution, and Water Loss Prevention. Council member Rhonda Haight made the motion that the Millage Rate be approved, and it was seconded by Council woman Robbie Cornelius. 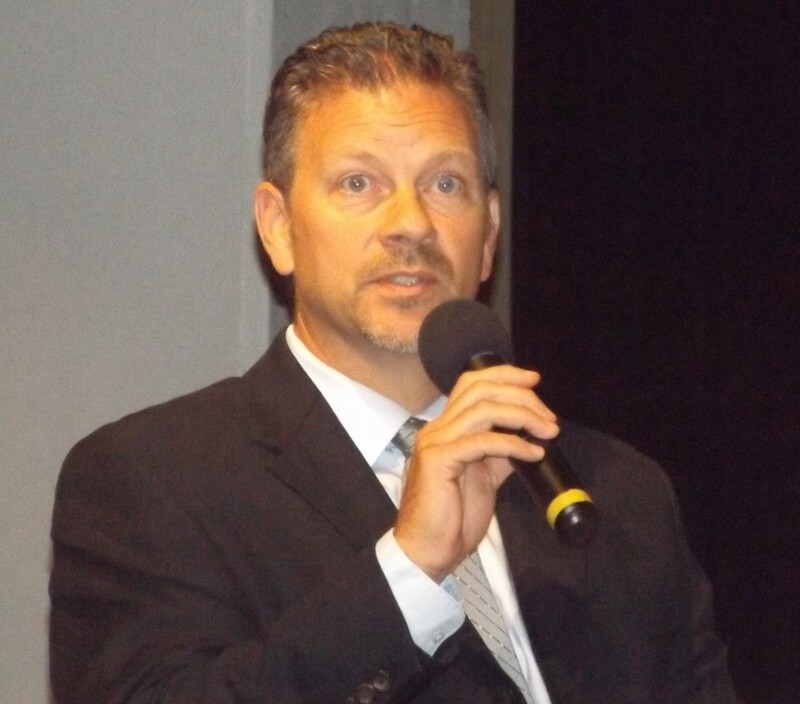 Council member Nathan Fitz made the motion that the 2019 Fiscal Year Budget adoption be approved, and it was seconded by Haight. BLUE RIDGE, Ga.—Oct. 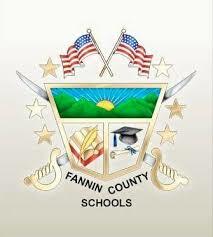 11 Fannin County School Board of Education voted and approved a new key card locking system for Blue Ridge Elementary School and West Fannin Elementary School. 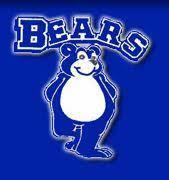 West Fannin Elementary received a quote from Howard Technology Solutions for $43,803.66. This quote amount covers all equipment, including installation, and will be paid through Fannin County Board of Education’s SPLOST fund. Blue Ridge Elementary received a similar quote from Howard Technology Solutions for $46,872.66. This quote covers all equipment, including installation. $44,780.00 will be reimbursed to the Fannin County School System by GaDOE (Georgia Department of Education) Facility Safety Grant Bond Funds. These locking systems will keep school doors locked and no one can enter the school building unless they have a key card. Staff members will have key cards that will allow them access into the school buildings and there will be a database that shows who was in and out of the school last. These key cards can also be activated and deactivated at a moment’s notice should there ever be an issue concerning the school’s safety. BLUE RIDGE, Ga.—Oct. 9 the Blue Ridge City Council reviewed two separate proposals for two four-ways. One, on McKinney St. connecting to West Main St., and the other four-way between Church St. and West First St. 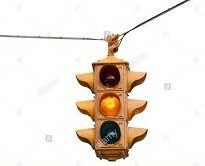 The Blue Ridge City Council also discussed putting a caution light up on Mountain Street and lowering the Speed Limits. The concern for the four-way stop between Church St. and West First St. was tabled until the next meeting. Sheriff Dane Kirby mentioned that if you look at other towns they sometimes have flashing lights on their stop signs or caution signs. Council member Haight and Mayor Whitener mentioned the importance of safety in this section of town because of how busy it is and there’s a constant flow of traffic. Sheriff Kirby mentioned that school buses take that route, too, and that’s something the Council needs to be mindful about. 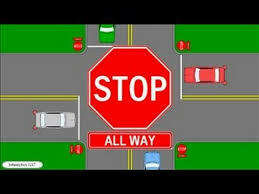 Council Member Fitz made the motion that they put a four-way stop on the corner of McKinney and West Main Street. Council woman Haight seconded the motion, and all were in favor for the new four-way. Fitz made a motion that the Blue Ridge City Council table the stop sign at Church Street and West First Street and all were in favor. Haight made the motion that the council put up the flashing light at Mountain Street. Fitz seconded the motion, and all were in favor. So, therefore, the new changes to downtown will be a flashing light at Mountain Street and a new four-way stop at McKinney and West Main Street. Does Downtown Blue Ridge Have a One-Way Street on the Horizon? BLUE RIDGE, Ga.—Oct. 9 Blue Ridge City Council members gathered to review their latest agenda. One item stood out to the board—traffic signs and a one-way street. The Fannin County Accident Review Board encouraged the Fannin County Sheriff’s office to petition the Blue Ridge City Council to change the two-way road behind the courthouse—between Church St. and Summit St.—to a one-way street going northbound. 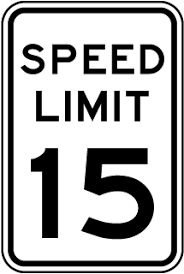 It’s also been recommended that the speed limit be lowered on that section of road on West First Street. 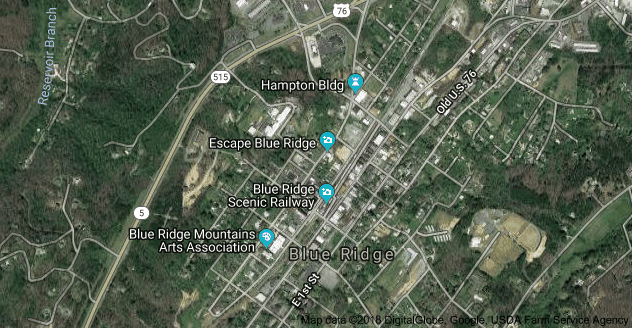 As citizens of Blue Ridge may know from experience, there’s a lot of traffic on that section of road as far as people commuting through town, people parking to go into the courthouse or county jail. Often, the amount of traffic makes it hard to park, pull out, and overall navigate that stretch of road. Fitz made the motion that the council ‘table’ the petition for the one-way street until next month so that the members have time to think it over and research options Gaddis seconded the motion. Will there be a one-way section of street on West First Street by the county jail? Stay tuned until the next council meeting. BLUE RIDGE, Ga.—Oct. 9 Blue Ridge City Council came together Tuesday evening to vote on the approval of a new bid for propane gas. 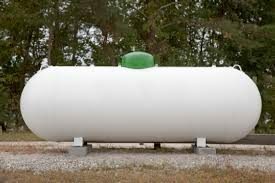 During last month’s meeting, council members Nathan Fitz and Ken Gaddis questioned the propane bid from Appalachian Propane. The council chose to open the bid and read a price of $1.44 per gallon. 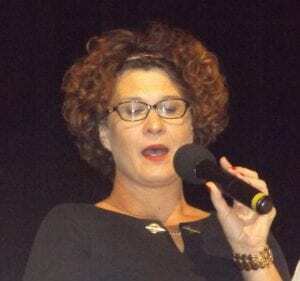 At that time, discussion between the council members and Mayor Donna Whitener, led to Council Member Fitz making the motion that they ‘table’ the propane bid for the next meeting. After putting out another bid for propane rates, the city of Blue Ridge received one more bid from Ford Mountain Propane for a rate of $1.09 per gallon. Council member Gaddis made the motion that the board accept Ford Mountain’s bid and council member Fitz seconded the motion. Next Article » Does Downtown Blue Ridge Have a One-Way Street on the Horizon? On Thursday, Oct. 4 Fannin County High School hosted a panel of qualified speakers to discuss the rising epidemic of teens vaping within the Fannin County region. The panel included: Fannin County High School (FCHS) Principal Erik Cioffi, Fannin County Middle School Principal Keith Nuckolls, Appalachian Judicial Circuit District Attorney Allison Sosebee, Fannin County Sheriff Dane Kirby, Chief Executive Officer of Highland Rivers Melanie Dallas, Director for Addictive Diseases at Highland Rivers Ansley Silvers, Doctor Bill Whaley Board Certified Physician and Addiction Specialist who serves as the medical consultant for the Fannin County Sheriff’s Office and the Drug Task Force, and President of Georgia Board of Pharmacy Bill Prather and owner of Blue Ridge Pharmacy. The panel members addressed what vaping is, substances often used in vape pens, and the health risks of vaping. Vape pens can look like jump drives, electronic cigarettes, and other electronics. Through vaping, a person can ingest illegal substances such as synthetic cannabinoids like Pinaca. Pinaca has recently been discovered and listed as a schedule 1 drug like LSD or heroin. Local pharmacist Bill Prather explained that there about 100 different cannabinoids and they are being chemically altered in other countries and then being distributed in the US. This is important because these drugs could do serious harm to Fannin’s youth because no one really knows what these substances are made of until they’ve been studied in a lab. District Attorney Allison Sosebee referenced a story from another county where a student had ingested an unknown substance while vaping in the school bathroom and the student went into an acute psychosis, and when he came to, he attempted to pull his tongue out of his mouth. The issue here, is that when students see adults—or people on social media, in movies, commercials, etc.—using vape pens, these devices appear harmless. When vape pens and e-cigarettes were first on the market, they were used in place of real cigarettes and were intended to be used to quit smoking. Dr. Whaley explained that vape nicotine equaled the same amount as 20 standard cigarettes. Each panel member communicated how important it is that this epidemic be taken seriously since there are no regulations or studies on how vaping certain substances can affect Fannin’s youth. The vaping industry is so new that there are not any safety regulations in place to monitor the effects of vaping. As a result, the Fannin County School System has decided to tackle vaping on school premises with severe consequences. Cioffi also explained that FCHS is looking into installing technology that can detect when Juuls and other vaping devices are being used to keep students from vaping in the bathrooms, hallways, and other parts of school grounds. Fannin County is on high alert with this vaping epidemic. Students should expect more school policies and focused attention on the devices they bring to school and use while on school premises. 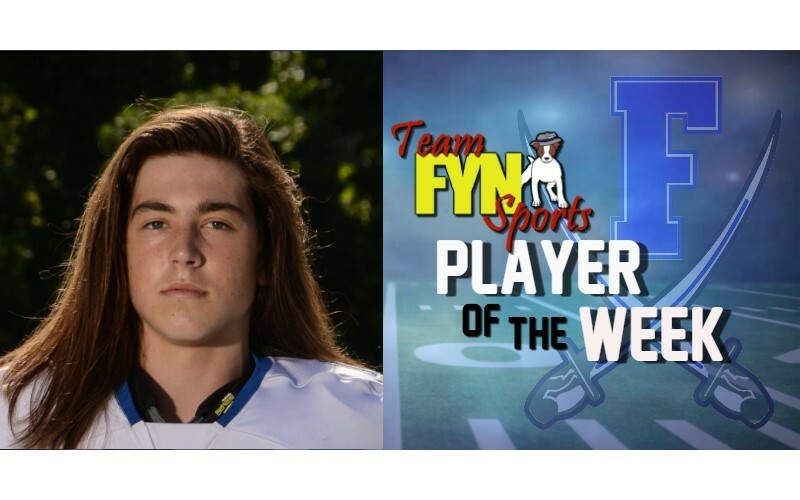 TeamFYNSports Reporter’s Player of the Week goes to number 12 quarterback Luke Holloway! 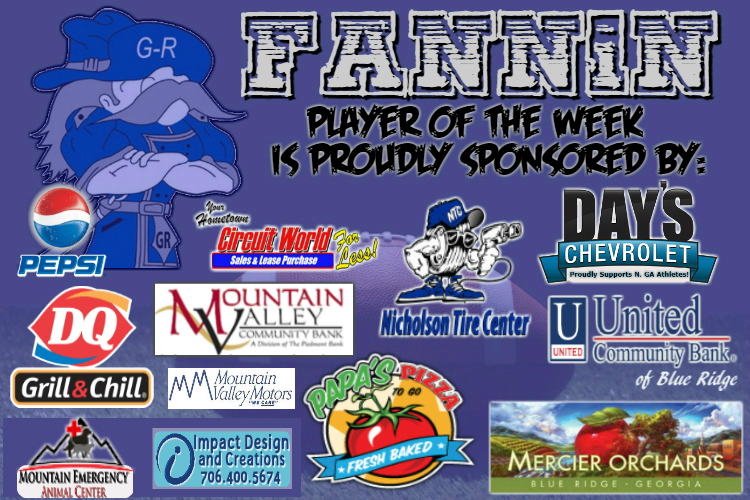 Holloway is a sophomore at Fannin County High School. Holloway’s improvement week after week contributed to the Rebels securing a home region win against Cherokee Bluff. As a sophomore, Holloway showed leadership as he connected with Chandler Kendall and Jalen Ingram and handed off to Treylyn Owensby and Will Mosley for a combined total of 6 touchdowns. 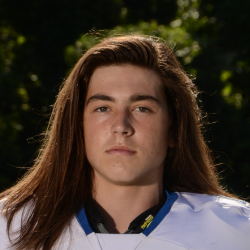 Week after week Holloway seems more confident and much more comfortable as the sophomore Fannin Rebels quarterback. 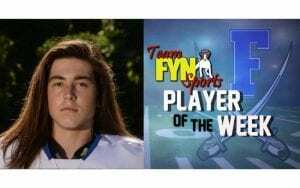 Congratulations, again, to Luke Holloway from TeamFYNSports. 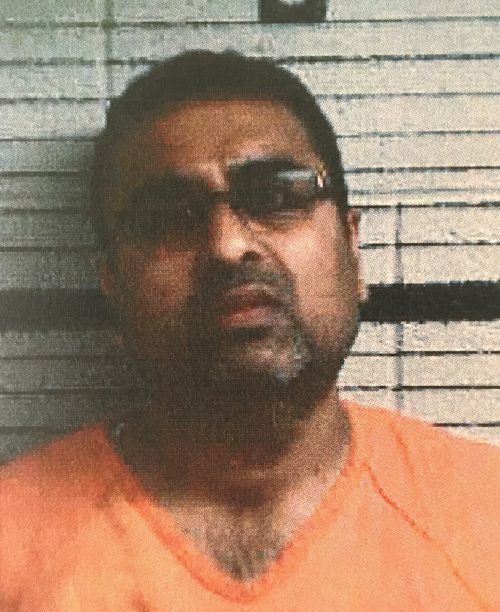 Quick-Mart’s owner, Jigneshkumar Patel, was arrested Wednesday Sep. 25 and charged with multiple charges. These charges include a felonies for distribution of Nitrous Oxide (known as whippets), possession of a controlled substance with intent to distribute (the vaping substance now recognized as Pinaca), reproduction of recorded material (bootleg movies), and racketeering. 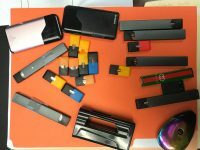 A misdemeanor for transactions in drug related objects (like vape pens and e-cigarettes) was also included in the charges. While in court, Jigneshkumar Patel’s attorney requested dismissal of motion to bond during penance. It was revealed that Homeland Security has Patel listes on an Immigration and Customs Enforcement (ICE) list and it’s possible that he could be subjected to deportation. This is a community issue because this illegal substance listed above, Pinaca, is the vaping substance that’s been sold to students in Fannin County. There have been other similar incidents in Pickens and Gilmer counties as well. Pinaca is a synthetic cannabinoid and is designed to mimic THC, the active chemical of cannabis. Synthetic cannabinoids are classed as ‘New Psychoactive Substances’ (NPS) which are unregulated substances that have become newly available on the market as an alternative to illegal drugs. As a result, Pinaca has been listed a Control Level 1 illegal substance due to the dangerous health risks like accidental overdose and severe psychiatric complications. The type of Pinaca and amount of active compound may vary considerably from batch to batch. Effects of this compund may include agitation, rapid heart rate, confusion, dizziness and nausea.